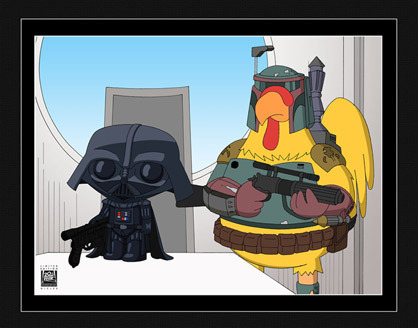 Ernie The Chicken as Boba Fett. . Wallpaper and background images in the Family Guy club tagged: family guy blue harvest star wars parody family guy movie peter stewie. This Family Guy photo contains anime, comic book, manga, and cartoon.